At Norwalk – La Mirada, we know you care about the workmanship and the quality of the products we use. That is why we ensure that all of our technicians fall under our umbrella insurance policy. Not only do we guarantee that you will be happy with the level of our service, but we also back that up by providing fully insured workers. Each technician goes through extensive background checks and rigorous training to make sure they understand exactly what we expect from them. This means you get only the best, regardless of what type of work you are having done. In Southern California, our licensing standards are among the highest in the industry. Technicians we hire are highly trained and the best in their field – guaranteed. 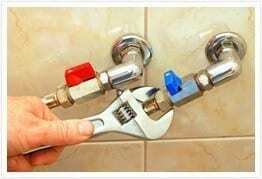 Regardless of whether you are hiring the technicians at Norwalk – La Mirada to provide plumbing, heating, air conditioning or drain work, or you need someone to help with new plumbing system design jobs, you can rest assured you will be getting the best in the business. Our skilled technicians are all professionals and our years of combined experience guarantee that you will get the level of service and expertise you have come to expect.